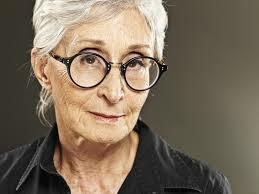 Twyla Tharp is a world-renowned American dancer and choreographer. She has choreographed more than one hundred sixty works: one hundred twenty-nine dances, twelve television specials, six Hollywood movies, four full-length ballets, four Broadway shows and two figure skating routines. She has also received one Tony Award, two Emmy Awards, and nineteen honorary doctorates, among other accolades. She is also the author of The Creative Habit: Learn It and Use It For Life. In a quote about the role of habit in forming disciplines, she says something that is so applicable to Christians. She starts with the warm-up that dancers go through. As with all sacred rites, the beginning of class is beautiful to watch…The dancers may straggle in and mill about, but they eventually assume, with frightening formal rigor, their customary place at the barre or on the floor…Of such beliefs and traditions are rituals made. It’s like going to church. we rarely question when we go to church, and we don’t expect concrete answers when we do. We just know it feeds our spirit somehow, and so we do it. Tharp’s book is about Creativity and the dynamics of nurturing Creativity. But, the ideas also pertain to the nurturance of a spiritual life, a life of productivity, or a life of health. All of these things are upheld and encouraged by habit. Doing things over and over again. Making a priority above everything else of these habits. Want to raise mature, responsible children? Begin their training by doing the same things over and over as a family. Helping other people. Sacrificing for the sake of others. Keeping spiritual rituals. And regularly exposing them to great ideas. While Tharp isn’t talking about spiritual disciplines the things she says apply. Want to be a better employee? Keep good habits. A better spouse? Ditto. Creating good habits is the key to being a better human being as well as child of God.